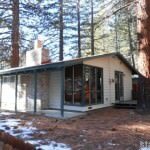 2601 Bertha Ave South Lake Tahoe CA offered at $152,000Darling 2 bedroom 1 bath home nestled into the Tahoe pines in a central South Lake Tahoe Neighborhood. Property is situated on a corner lot, near shopping, restaurants, beach access and much more. Come and check out this great deal home today. Purchase this property for as little as 3% down! This property is approved HomePath Renovation Mortgage Financing.Continue Reading!